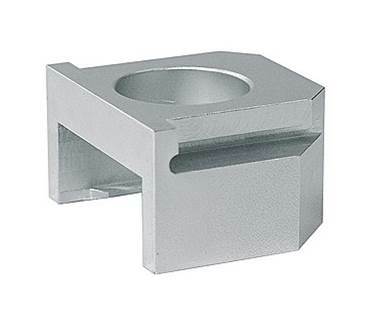 This part CYC720310 is the milled adapter block only. It is for use with 720249 (crank extractor Campagnolo Power Torque alloy cranks only). This adapter allows for damage-free disassembling of Campagnolo Power Torque carbon cranks. Through laser production technology, the adapter has got an exact inner shape. The adapter can be used for all Campagnolo P.T. carbon cranks, except Bullet Ultra time trial cranks.